First it’s important to note that this is NOT the same machine as the Kettler Atmos. The Pro bit is important because the major difference between the two is that the Pro model is fitted with an AC drive motor and not the DC motor present in the original Atmos machine. AC motors are favoured in commercial gym equipment mainly because they don’t have brushes that wear out so they are far longer lasting and require no maintenance. In addition to the reliability and longevity attributes of AC motors, they’re also more efficient and tend to be quieter. Assembling the Atmos Pro is straight forward. 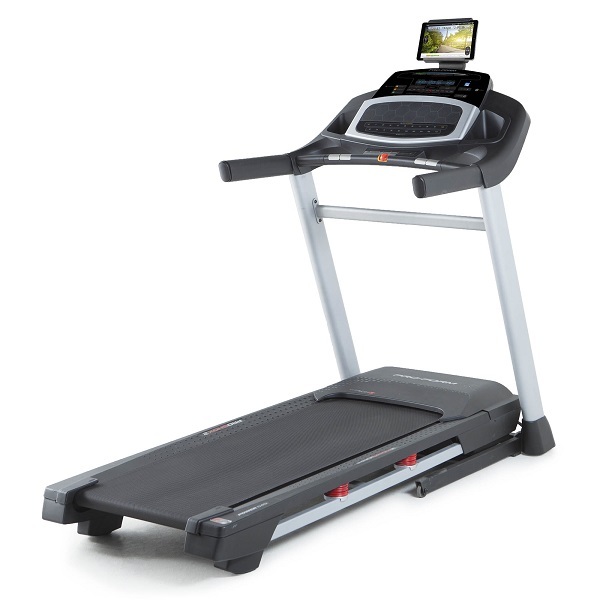 Much easier than many treadmills we’ve put together over the years. While it’s not of the pre-built variety it’s clear that someone has actually thought through the design and we’d bet that they also actually built this machine in person rather than theoretically on a computer before they released it to market. As usual, you’ll need two people to get it out of the box and during certain points in the assembly but it’s as easy as it gets. There are 10 simple steps, all on one page, (the last one being plugging the machine into the mains!) and you’re ready to go. 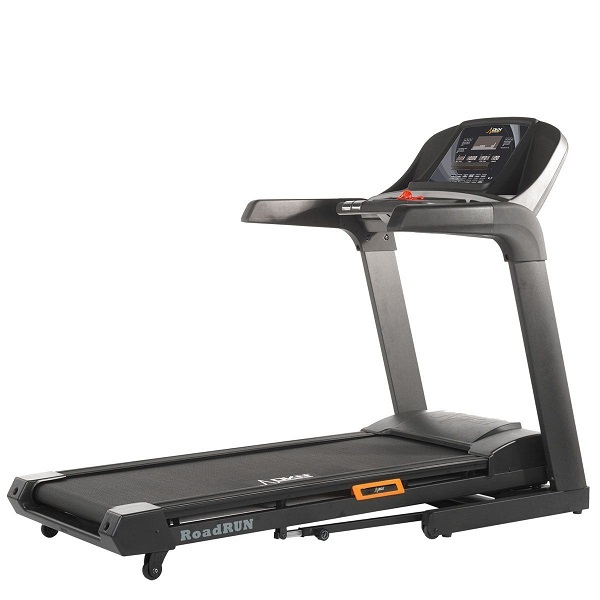 No annoying, pointless, fiddly plastic covers and such like, make putting this treadmill together a breeze. 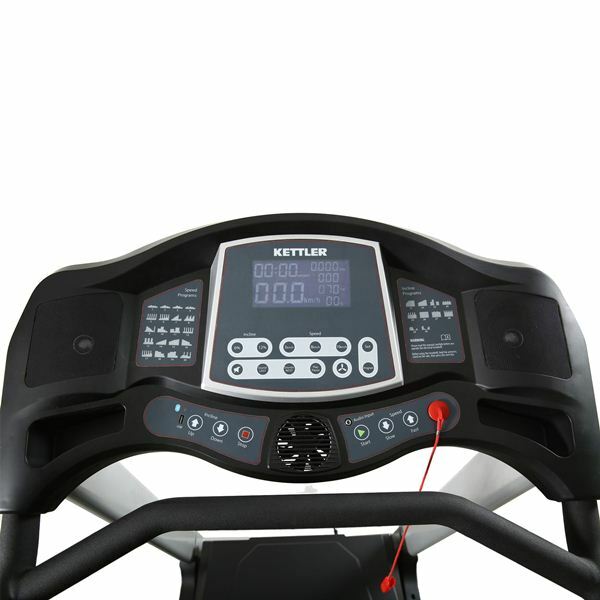 First impressions of the assembled machine tell us that this is definitely a model that fits the profile and hard won reputation of Kettler products. Clean, simple lines are achieved through the absence of pointless plastic aesthetics and the black and silver colour scheme with red trim combine to make this look like a modern unit that stands apart from many others on the market. Moving on from the looks we were keen to get down to the guts of the machine. As mentioned the Atmos Pro is fitted with a 3.0 horsepower which is half a horsepower bigger than it’s previous incarnation and being an AC motor this should be good for thousands of hours of use. This impressive bit of engineering ramps the speed up from 1 to 20kph in a tiny bit over 30 seconds and slows back down again in 26 seconds. It does this effortlessly even with the some of the ‘larger’ members of the team testing it out 🙂 At most speeds throughout the range, it’s really quiet and even at the top end, while not silent by any means, it’s still a good deal quieter than you’d expect at those speeds. In fact, the motor is only a little louder than the sound of the join of the belt running over the rollers! Speaking of rollers, this is one area that we’d have expected to see something bigger and heavier. While not small, the rollers are not the same thickness in diameter as some of the Atmos’ competitors such as the Sole F63. In the long term, it’s possible that negative aspect of the smaller diameter of the rollers on the Atmos is outweighed by the fact that the machine is driven by the splendid AC Motor, but it’s still a little disappointing they’re not thicker than they are. Kettler have made much of their 16 point cushioning system and it has to be said that even at higher speeds the cushioning on the deck provides a nice balance between stiffness and softness. Though we can’t actually see all 16 points on the machine (try as we might), it’s still simply great to run on. Some more seasoned outdoor runners may prefer a slightly stiffer deck but we think Kettler have got the balance pretty much perfect for most people that are likely to buy this machine. The deck is soft enough to provide a nice landing but stiff enough to get a good take off without sapping your energy needlessly. 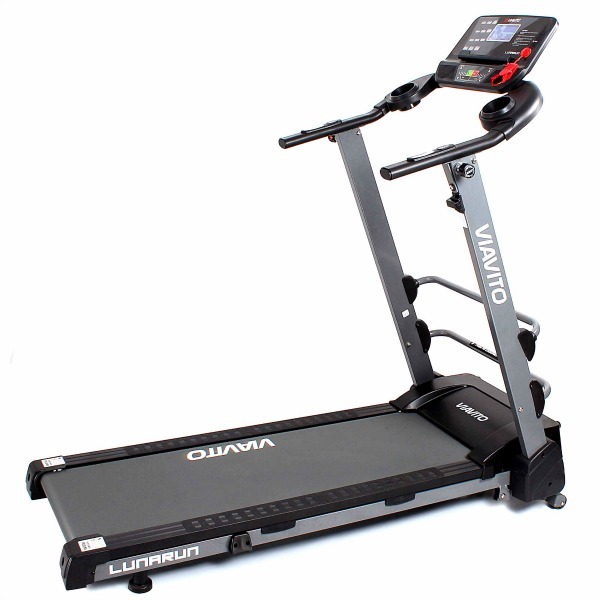 Another nice feature of the deck is the it’s got adjustable feet at the rear allowing you to get the deck perfectly horizontal – a feature that’s missing on a good number of machines, and with a stated maximum incline of 16% (and we can vouch for the fact that it is a really challenging incline) this treadmill is just a good for walkers looking to burn calories as it is for more advanced runners. Moving onto the console, the Atmos Pro offers a really great range of functions and features. There are 30 programmes to choose from which are split into two categories of ‘speed’ and ‘incline’. The details for all 30 are printing on the console itself so it’s easy to select the one you want. One drawback is that there’s no way to quickly select a programme by number so you have to scroll through each one meaning programme number 30 is a lot of beeping buttons away! 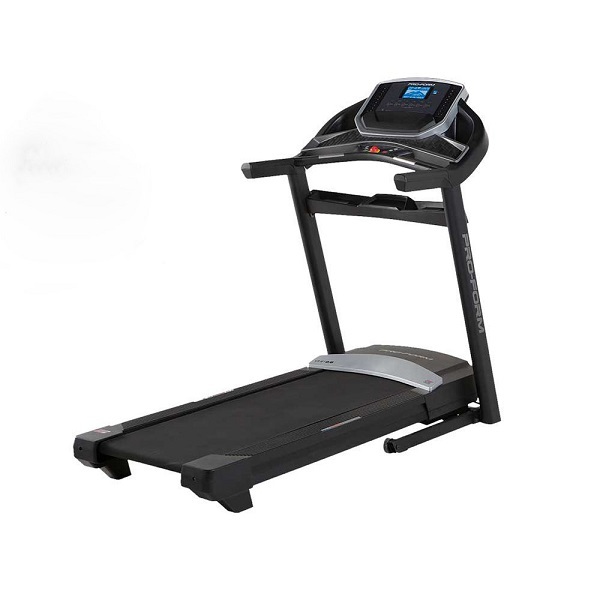 However, each programme is scalable and for the no-nonsense runner getting it moving in manual mode is a single press of the button to start and stop and the quick access keys allow you to get up to speed and incline quickly and without fuss. The contrast on the 5.5″ display is good and can be adjusted to suit prevailing light conditions. The characters on the screen are large and easy to read. Time and distance are on the right of the screen and are the largest characters, with distance, calorie count, incline level and heart rate on the right. There’s also a fan which is set to blow at you upwards at an angle which does a decent enough job, especially when you’ve worked up a sweat. The console also makes use of Bluetooth so you can connect your smartphone or tablet in order to playback music wirelessly via the built-in speakers however a curious omission is the lack of ledge or lip on which to place a tablet or phone. This is all the stranger when you consider that the USB port on the Atmos Pro is designed not only to allow MP3 playback direct from a USB stick but also carries enough power to charge your phone or tablet which is covered as a selling point in the literature and the manual! One other oddity of the console is the audio jack which is not covered in the manual and is marked as ‘voice input’ though when tested it turned out to be a straight forward audio input which is useful for those that want to listen to music but don’t have a USB stick or a Bluetooth enabled device. There is a small accessories tray just to the right of the audio jack so you’ve got somewhere to put your MP3 player. While all this does seem a bit odd, it didn’t take away from the main point of the machine which is, of course, to run on! 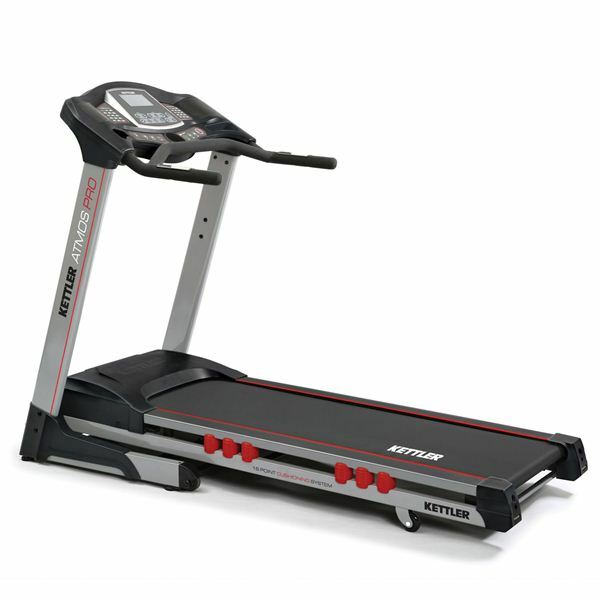 Having reviewed a great many treadmills over the years, it’s clear to us that Kettler is aiming this treadmill at those who want a machine for serious training. It feels absolutely marvelous to run on. 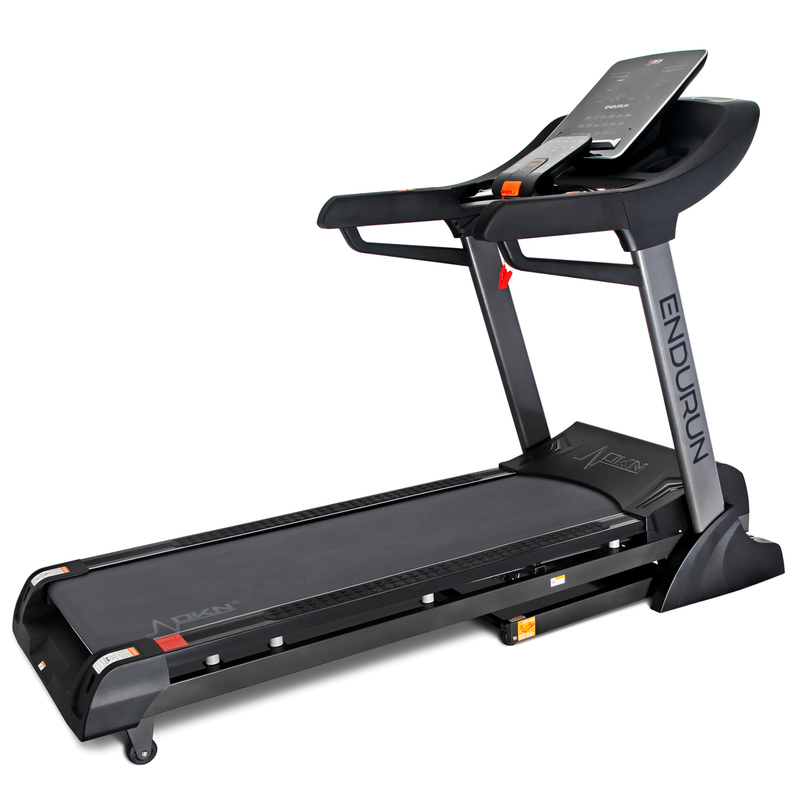 Adjusting the controls while running is easy and the machine is really responsive. That’s its strongest point and why you’d want to buy this model. Our expectations of Kettler's new high-end home treadmill were high and we certainly weren't disappointed. 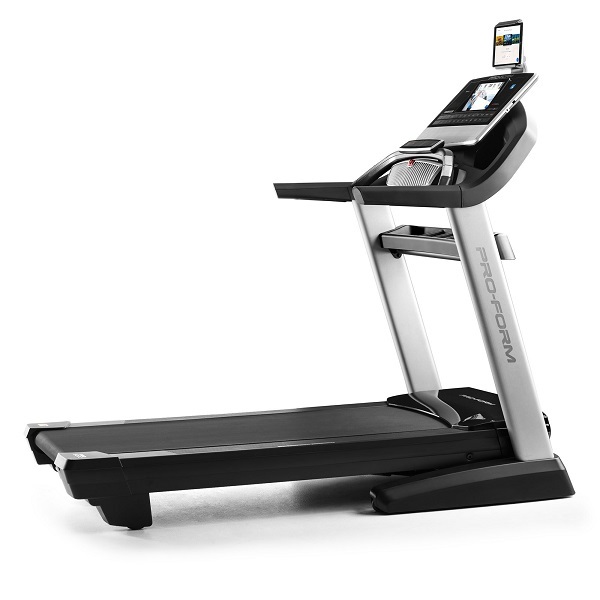 It has a rather nice feel as a running machine and it's definitely well built. 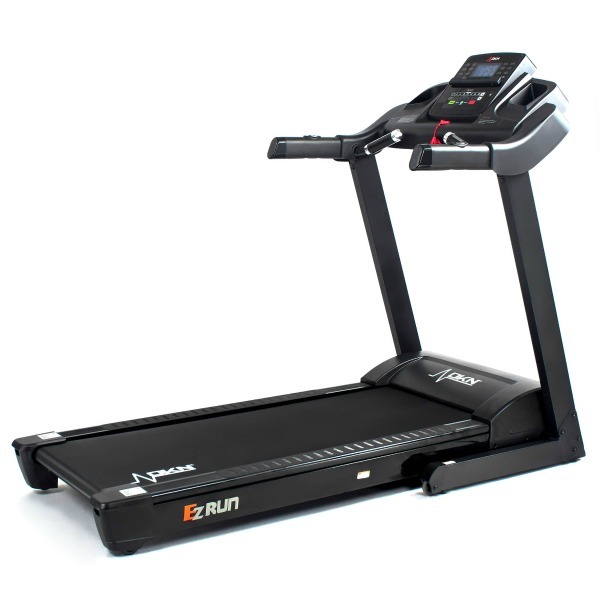 If you're considering this, we'd highly recommend having a close look at the DKN RoadRunner I, which is has had a few generations of refinement and is one of the few machines to provide an even better feel as a running machine than this Kettler. As an added bonus, you'll save some money as well!